Jocelyne Larocque Tom Longboat Winner! 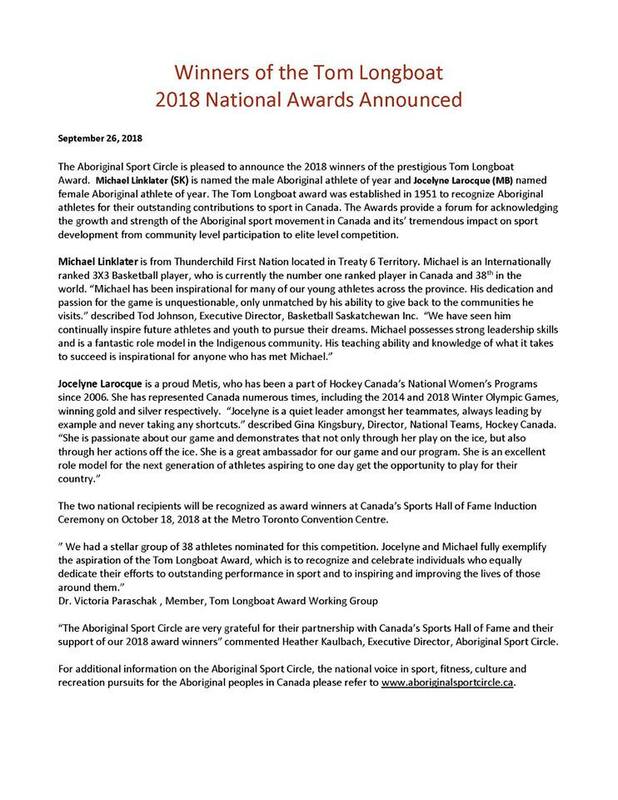 | Manitoba Aboriginal Sports and Recreation Council Inc.
Jocelyne Larocque Tom Longboat Winner! ANNOUNCEMENT: Congratulations to Jocelyne Larocque!